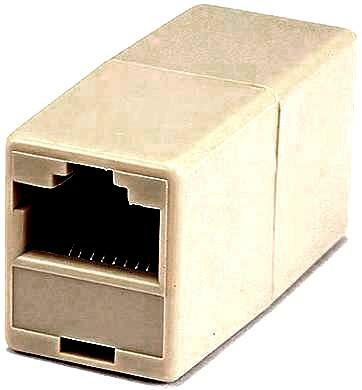 RJ45 (8P8C) coupler. Joins 2 leads with RJ45 plugs. Both sides accept 8P8C plugs.